How was the atmosphere at Molitor 85 years ago? 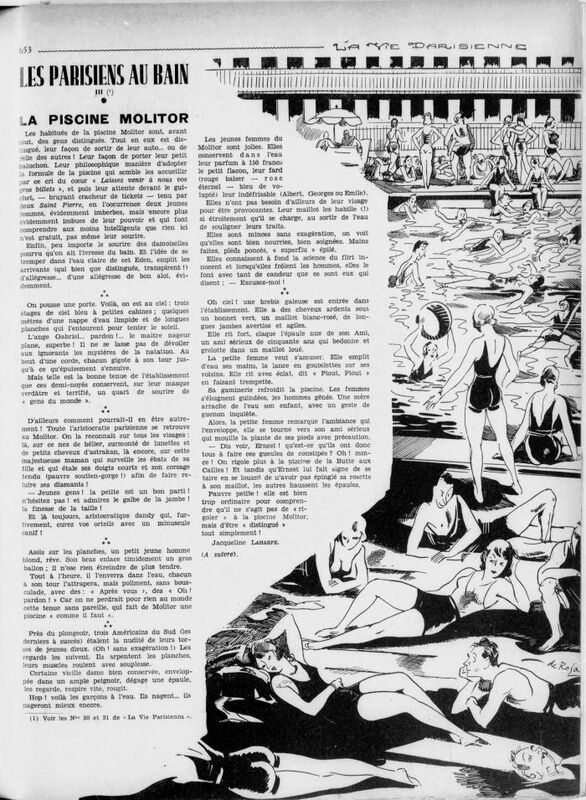 85 years ago, on 6th august 1932 was published an article on the Molitor pool in the weekly magazine La Vie Parisienne, written by Jacqueline Laharpe. La Vie Parisienne is an illustrated cultural magazine created in 1863 and published continuously until 1970. 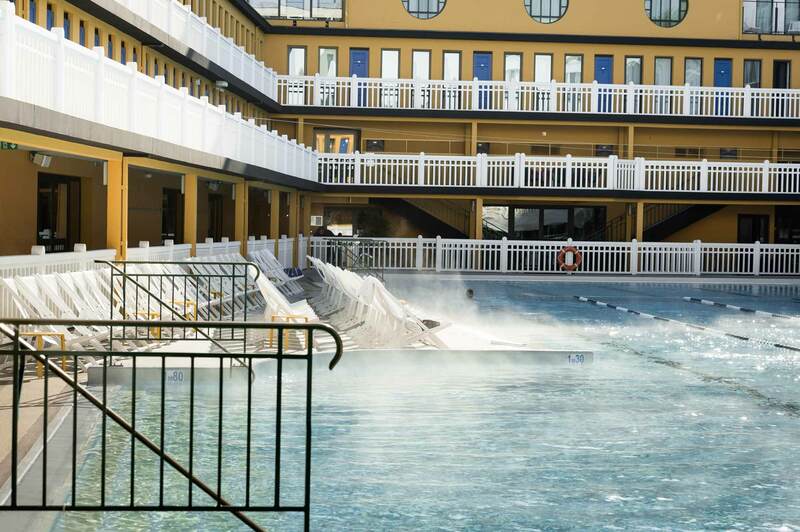 It gave its name to Jacques Offenbach's famous "opéra-bouffe", La Vie Parisienne. The magazine will tell for over a century the high-society's joys and pleasures of the capitale, and will participate in the liberalisation and diversification of the press.